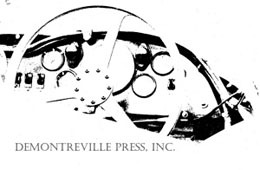 As Graham Hull (the chief stylist for Rolls-Royce in the 1980s and 1990s) points out in the Foreword, “It is unusual for a motor car to be referred to as a Goddess.” And it is all too usual to refer to an automobile as “unique,” “ahead of its time,” or “distinctive,” but the Citroën DS is the epitome of all these appellations. Malcolm Bobbitt’s book is both celebratory and reverential. 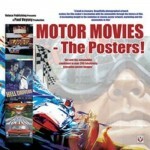 This book was released on the occasion of the model’s 50th anniversary (built from 1955 to 1975)—four years before it was voted by a jury of car designers rounded up by Classic & Sports Car magazine “Most Beautiful Car Ever.” Its list of awards is enviably long, including such choice accolades as “Product of the Century” (beating out the Boeing 747, Apple Macintosh, the transistor, the ball point pen, and even the lunar landing craft). Obviously exhaustively researched, Citroën DS offers a brief history of the marque before unfolding the story of the model throughout the years. The D series introduced a long list of technical firsts to the automotive landscape. This book is quite generous in its array of historic and factory photographs, vintage advertisements, and photographs from Bobbitt’s personal collection and those supplied by friends and enthusiasts. The layout is imaginative and attractive. The text throughout is always readable, often elegant, and Bobbitt’s great fondness for the car—he owned an ID19 for 20 years—is evident. 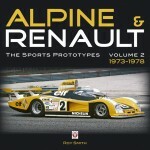 The book relates many facts about the car and its history: The DS was once manufactured in England, a bespoke version was built and given to Charles DeGaulle (he did not like it), the SM version sported a Maserati engine, the DS’s wheelbase is the same as a Rolls-Royce Silver Cloud—these are just a few examples. The Chapron models are covered, as are the “decapitated” ones (aka the convertible, decapotable in French), and Citroën’s delightfully quirky advertising. There is a chapter for those who may wish to buy and own one and there are three Appendices: Production figures, original specifications, and a list of clubs, specialists and contacts. 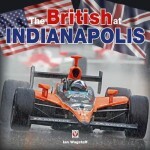 The book is indexed. Hull’s Forword discusses the design of the DS, with a comparison to the car’s contemporaries, and this is of interest. 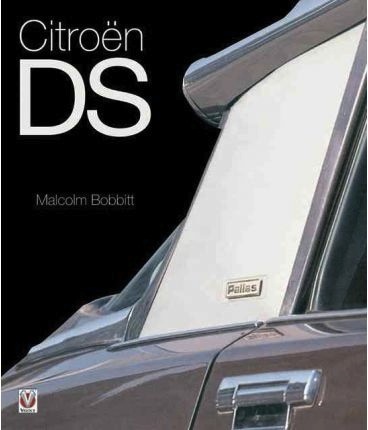 The book’s dust jacket blurb basically says it all: “In definitive detail the international story of Citroën’s iconic DS from launch in 1955 to classic collectable in the new millennium.” I recommend it.